I have researched about this project and fell in love with it. Seeing the way these people live makes me feel so grateful and want to help them. Even through all of the things that they have to deal with and live through they are still so happy. I want to help them and give them all I can. 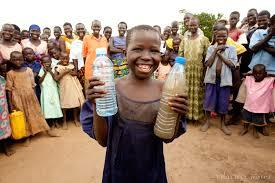 Together we can provide water for the thirsty. 02/17/15 LARRY CARRILLO $68.00 May we are so Proud of you and your compassion and Big heart for other people. May God Bess You for when you give you get to give again!!! 01/28/15 Isaura Vargas-Sayer $34.00 Amelia,Thanks for having the courage to make a difference. 01/28/15 Cassandra Rocha $26.03 This is a wonderful cause! 01/28/15 Maggie Rocha $25.00 I very proud of you Amelia for wanting to help others.